There are big differences between companies that offer great paid time off (PTO) policies on paper but place an unspoken stigma around taking time off, and companies that walk the talk in their everyday culture, supported and exemplified by every employee. Culture is a force that runs strong among TSheeters, and paid time off is a perk we value greatly. This spring, TSheets conducted an survey of US employees to learn how they’re managing and utilizing their paid time off. One of the more salacious questions asked respondents how they have misled managers about taking time off. Respondents fessed up to being too hungover to work, needing to look after their pet, and going for a job interview, among others. A good culture in practice empowers employees to tend to life as and when they need to, while doing their best at work. A bad one encourages the need for deceit and excuses. 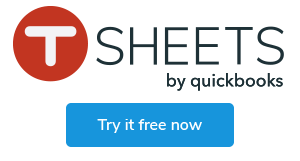 How does TSheets stack up? So when it came time for TSheets’ annual golf tournament, we thought we’d put our money where mouth is and see how our team did, staring down the trifecta of temptations (free-flowing drinks, the next workday is a Friday, and the beautiful Boise weather) for phoning it in the following day. The brave souls for this data? Our customer experience (CX) team. But why CX? So glad you asked. These are the rock stars who take every question or concern you may have via phone, chat, and email. From setup to onboarding, our experts make sure you get the most out of TSheets. Meanwhile, success coaches customize training sessions for whatever you may need help with. Our CX team is the stuff of legends. They are the lifeline to our company’s operations, as our customers are the lifeblood of our business. So how did they do? Come Friday morning, only ONE employee called in sick. One. Eins. Un. En. Odin. No frenzied scrambling for extra help to fill empty seats, no shuffling of schedules, no disappointed colleagues, no upset supervisors, and most importantly, no customers put on hold unnecessarily. When a company focuses on employee well-being and happiness, employees reciprocate by being better, and a PTO-friendly practice is a good place to start.